FLORIDA – Sure Bklyner covers Brooklyn stories, but this story was too important to pass up. 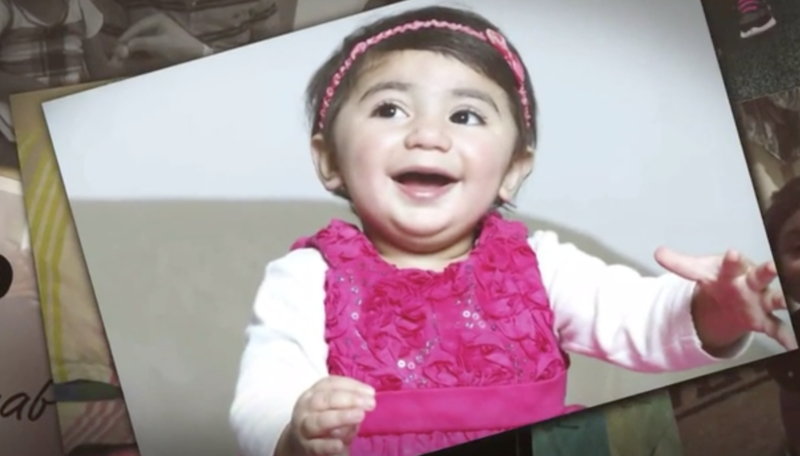 Zainab Mughal, an adorable two-year-old needs blood to survive. The catch? The blood she’s looking for is rare. Could you be her match? Zainab has an aggressive form of cancer called neuroblastoma. She was diagnosed two months ago, but the tumor was growing in her stomach for almost 10 months. She’s undergoing chemotherapy and her tumor is shrinking, but she still needs frequent blood transfusions to help fight cancer. What makes her blood so rare is that there is no Indian-B Antigen in her red blood cells. The problem is that most people do have the Indian-B Antigen, which is why it is so difficult to find someone that doesn’t. Both of her parents, as well as many family members, were tested and are not compatible. Must be 100% Indian, Pakistani, or Iranian (have two parents who are from there). Blood type must be “O” or “A” otherwise, Zainab’s body will reject the blood. “Of [the Indian, Pakistani, and Iranian] populations, less than four percent of the people are actually missing the Indian-B Antigen,” OneBlood said. Which is why people of these descents are statistically more likely to match with Zainab. This is also why we’re asking our readers to check if they might be a match. There are thousands of Pakistani, Indian, and Iranian folks in Brooklyn. This has turned into a worldwide search. So far, 1,000 people of the three descents have donated blood to see if they could be possible donors, OneBlood said. And so far, three matching donors have been located; one is from the United Kingdom and the other two are from the US. “We’re going to need at least seven to ten donors that we can stage and coordinate to donate over the course of Zainab’s’s treatment,” said Frieda Bright, a reference laboratory manager at OneBlood. This is because Zainab is expected to undergo several blood transfusions. “The blood is not going to cure, but the blood is very, very, very important to support her while she undergoes the treatment for this particular cancer, “Bright said. To get tested or to find more information, you can visit Zainab’s page on OneBlood.